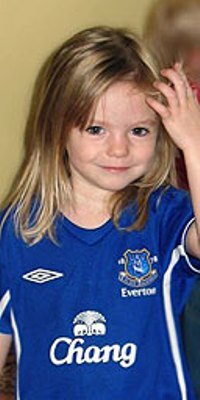 A man suspected of attempting to defraud the parents of missing British girl Madeleine McCann was arrested in the Dutch city of Eindhoven. The 39-year-old man, whose name was not released, allegedly pretended to know that Madeleine had been kidnapped and to know the whereabouts of her and her abductors. He demanded a payment of EUR2 million (US$2.7 million) in return for the information, a prosecution statement said. After his arrest Wednesday, the man confessed to making the whole story up, and there is no evidence he was involved in her abduction or has any actual information about her whereabouts, prosecutors said. The four-year-old girl has been missing since early May, when she disappeared while on vacation in Portugal with her parents. The suspect sent six e-mails in all addressed to Madeleine's parents from an Internet cafe and an unemployment office, authorities said. At the request of British and Portuguese authorities, Dutch police gave the investigation "the highest priority" and eventually traced the e-mails to the suspect. "After his arrest the unemployed suspect ... (said that) out of boredom he had started to play with the feelings of Madeleine's parents," the statement said. "Money was probably his motive although he claims he did not really expect to get it." The suspect was to be arraigned in Rotterdam later Friday. "The attempted fraud caused unnecessary distress to the parents," the statement said. "That people get greedy under these circumstances and think they can cash in on the disappearance is totally unacceptable."